Tortillas are a popular Central American flat bread similar to a roti. 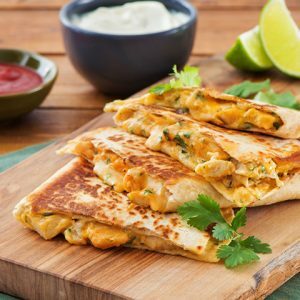 They are used to make a variety of dishes like tacos, burritos, enchiladas etc. 1. Mix the flour, salt and baking powder in a bowl. 2. Add butter and water. 3. Knead well until smooth. 4. Keep aside for 3 to 5 minutes. 5. Make balls of the dough and roll them into medium tortillas. 6. Heat a nonstick tawa over medium flame. 7. Cook the tortillas on both sides, about a minute or two per side or until lightly golden. 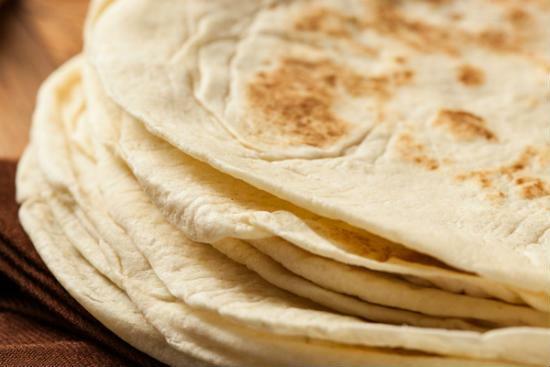 Feel free to comment or share your thoughts on this Homemade Flour Tortillas Recipe from Awesome Cuisine.